Florida’s famous sunshine compels crowds of all ages to head for the parks on weekends and after hours. There you can find young and old riding bikes, playing in playgrounds, riding skateboards, and taking walks. A perfect day in the sun can turn catastrophic, though, when a walk in the park results in a vicious dog attack. If you or a loved one has suffered a confrontation with an angry canine, you know that human flesh is no match for the snarls and teeth of malicious hound. A good attorney can help you obtain justice after such a frightening encounter. They physical consequences of a dog bite can range from simple antiseptic wipes, to stitches, or even more serious damage to muscles, ligaments, facial features or in truly catastrophic cases, impairment to vital organs. When the bite comes from an unhealthy animal, the physical repercussions can grow exponentially. Even more devastating than physical effects, the emotional and mental distress following a dog attack can be both severe and long lasting. Particularly for young children, post-traumatic stress disorder (PTSD) is a serious concern. Often children sense the guilt and sorrow their parents experience at having been unable to protect a child from such an attack. Subsequently, children attempt to mask the fear and emotional trauma associated with the incident, burying intense feelings that then fester. This can be a recipe for PTSD in a young dog-bite victim. Florida statute is clear: dog owners are liable for injuries caused by their pets. Whether the incident occurs in a public or a private place, people have a legitimate expectation for safety. Even if the dog involved in the attack has no history of violence, the owner is responsible for the injuries. Yes, proximate cause will be considered in a court of law, meaning that the victim’s portion of liability for the incident will be weighed. Generally, an adult ignoring posted warnings about a dog on private property might incite a question of proximate cause. Clearly, a child who cannot read or who cannot reasonably weigh the consequences of entering the property where such postings exist would not be expected to take even partial responsibility for an animal attack. 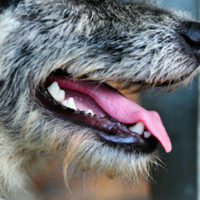 And obviously, a bite that occurs in a public place, such as a park, would likely be deemed the complete responsibility of the dog owner. Although the physical and emotional consequences of a dog bite may never be completely erased, the experienced personal injury attorneys at The Law Offices of Robert W. Elton in Daytona and Ormond Beach can help you obtain the financial remunerations you deserve to deal with your injuries. Contact our compassionate, yet aggressive team today for your free, confidential consultation.